VYBZ KARTEL: Did Jurors Planned After Guilty Verdict Party? One of the jurors who found Vybz Kartel guilty of murder is denying allegations that they planned an after verdict party during the trial. The juror, Dennis Brown, who testified in court this week in a corrupt juror trial, told the court that there was the planning of a party but denied that it was discussed during deliberation in the jury room. “It was good to go out and relax. No after-party,” he told the court when pressed during cross-examination by defense attorney Valerie Neita-Robertson. 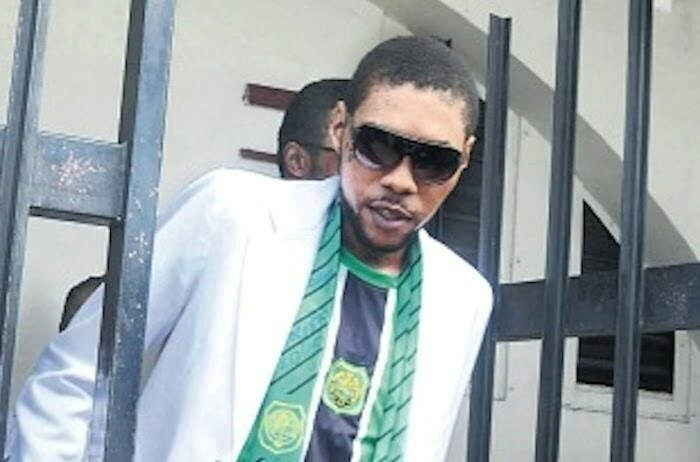 Livingston Cain, one of the jurors from Vybz Kartel murder case, is on trial for allegedly trying to bribe the forewoman and other members of the jury to return a not guilty verdict. He was arrested moments after the verdict was read out in court and charged with one count of conspiring to pervert the course of justice and six counts of perverting the course of justice. The trial is currently underway in the Corporate Area Resident Magistrate’s Court. If found guilty he faces up to three years in prison. Were members of the jury planning to celebrate Vybz Kartel’s guilty verdict? That is the big question in everyone’s mind. Vybz Kartel is currently sitting in the Remand prison serving a life sentence. He would be eligible for parole in 35 years.